To most of us, fall means back to school and gaining knowledge but to the staff at Family Youth Interventions programs, increasing our knowledge is a never-ending process. After our staff’s initial training, they are required to complete at least twenty-five hours of continuing education relevant to the population we serve each year. Staff attend conferences, webinars, complete online training and read professional literature to achieve the most up to date knowledge on subjects that impact our clients. We also bring in experts on various topics to speak to our entire staff. Recently, Christopher Harris, NCC, LPC ( http://ccharrispc.com ) addressed our staff to increase our level of Cultural Competency. Other subjects we focus on in our ongoing training include Trauma Informed Care, Human Trafficking, Crisis Intervention, Strength-Based Approaches, Suicide Risk Assessment, LGBTQ and Substance related issues. If there is a topic or presentation you think would be beneficial for our staff, please let us know! We would love to hear your ideas. 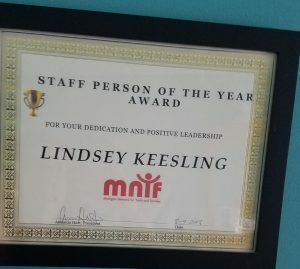 In August, two of our outstanding staff members were recognized by the Michigan Network for Youth and Families ( https://www.facebook.com/MNYFMichigan/ )at their annual conference in Kalamazoo. 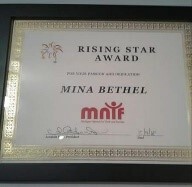 Lindsey Keesling was awarded Staff Person of the Year and Mina Bethel was recognized as a Rising Star in the field. We are so proud of all of the staff we have at Family Youth Interventions who continually advance their knowledge in order to provide the highest level of service to our clients possible. Happy fall and keep learning!